Much has been written about the DePorres Club, a 1950s civil rights group in Omaha. This is an informal timeline. This outline was informed greatly by Matt Holland’s book, See “Elsewhere Online” below for other references and related articles. November 3, 1947—The Omaha DePorres Club was founded by Father John Markoe, high school and college students, and community members. They met at Creighton University. February 16, 1948—The DePorres Club talks with African American Robert Hollins, whose daughter was refused access to the white-only Sacred Heart High School. The surrounding neighborhood was found to have signed a restrictive covenant, too, and few parish members didn’t sign it; there was no blatant resistance to it, either. February 1948—Several members of the DePorres Club report that Creighton University School of Dentistry clinic refused to serve African Americans. By March, Father Markoe reported to the club that the clinic would not refuse Black people anymore. 1948—Black and white members of the DePorres Club face racism at Dixon’s Top Hat Restaurant near Creighton. 1948—The DePorres Club staged Omaha’s first sit-in at a restaurant in the Douglas County Courthouse. 30 members joined, and the restaurant eventually committed to desegregation. 1948—The DePorres Club begins campaign to end racism in Omaha industries, contacting the Omaha and Council Bluffs Street Railway Company, Northwestern Bell and the Omaha World-Herald. May 1948—Members of the DePorres Club are refused service at the Dunk Donut Shop at 2409 Farnam Street. 1948—Members of the DePorres Club file lawsuits against restaurants in Omaha, including Bertha Calloway against Harry’s at 1819 Farnam Street. October 1948—Creighton University administration gives the DePorres Club notice to stop meeting on campus. October 1948—The DePorres Center opens at 1914 North 24th Street. Activities included weekly forums on racism, dances, and youth groups. February 1949—Taking Dunk Donuts to court under an 1893 Nebraska law against racial discrimination, members of the DePorres Club won a judgment of $25 against the owner. August 1949—2,432 signatures had been gathered for a petition against racism in the Omaha and Council Bluffs Street Railway Company. May 1950—Manuel Talley, founder of the Los Angeles chapter of the Congress on Racial Equity, or CORE, is hosted in Omaha by the DePorres Club. July 1950—The DePorres Club forms the Omaha Mobilization for Fair Employment, a committee focused on ending racial discrimination in hiring practices throughout the city. September 25, 1950—Whitney Young, leader of Omaha’s Urban League, speaks to the DePorres Club. September 1950—The Omaha DePorres Center closes because the club couldn’t pay the $40 monthly rent. They met at the North Omaha YMCA for a few weeks afterward. October 1950—The Omaha Star starts hosting the DePorres Club meetings at their offices for free. December 1950—The DePorres Club protests racist student activities at Central High School. January 1951—The Edholm-Sherman Laundry closes permanently. February 1951—The DePorres Club succeeds in integrating the Emerson-Saratoga Laundry after threatening the same treatment that the Edholm-Sherman Laundry received. May 1951—The DePorres Club starts boycotting Omaha’s Coca-Cola Bottling Company against their racist hiring practices. It ends in June when an AFrican American is hired there. August 1951—Club members begin tests on local restaurants and hotels to identify which places were actively racist. Reports of racist reactions came from Blackstone Hotel; Castle Hotel; Regis Hotel; Paxton Hotel; Henshaw Hotel; Hill Hotel; Harvey’s Restaurant; Miller Hotel, and; Tess’s Fish Market. July 1952—Crosstown Roller Rink owner Ralph Fox refuses to admit DePorres Club members. Fox is taken to court and found guilty of discrimination, and ordered to pay the minimum fine of $25. He admits African Americans afterwards. September 1952—Club members start meeting with Safeway managers in the 18 stores across Omaha. The North Omaha store by North 24th and Evans Streets served Blacks but only hired whites. Only two of Safeway’s 500 Omaha employees were African American, and they were janitors. The stores agree to hire more Blacks, but stalled for years afterwards. January 25, 1953—The DePorres Club launches a boycott of Reed’s Ice Cream in Omaha, along with the NAACP Youth Council. It lasts five months before the company changes their racist hiring practices and hires a single African American. April 1953—The DePorres Club announces they kept names of Reed’s customers they recognized, and would publish entire list of people who supported the racist ice cream business. May 30, 1953—The DePorres Club hosts a “Don’t Buy Racial Discrimination” dance party at the Carnation Ballroom. 1954—The Omaha and Council Bluffs Street Railway Company starts hiring African American drivers due to the campaign by the Omaha DePorres Club, along with partners in the Omaha NAACP and the Omaha Urban League. October 1954—The Omaha Star stops hosting the DePorres Club meetings at their offices and the club takes a 5-year break. July 1959—Wilbur Phillips restarts the club to fight Omaha Public Schools’ racist hiring practices. July 1960—The DePorres Club ends permanently. —The DePorres Club boycotts Eppley Air Field for not hiring black workers. —The DePorres Club became an affiliate of CORE, or the Congress of Racial Equity. July 1967—Father John Markoe dies. 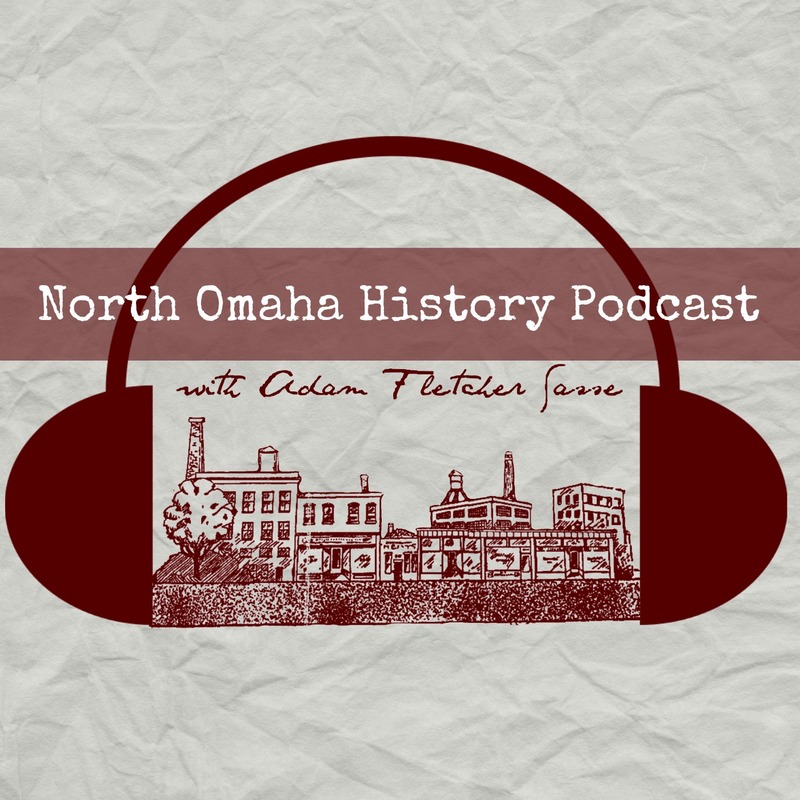 July 2014—Matt Holland, son of early DePorres Club leader Denny Holland, self-publishes Ahead of Their Time: The Story of the Omaha DePorres Club, fostering unprecedented interest in the book. Do you have dates or other information to add? Please share in the comments below! “Flashback Friday: Omaha’s Bus Boycott of 1952-54” Nebraska State Historical Society. This 1959 protest poster was made by the DePorres Club against Omaha Public Schools racist hiring practices. This is a 1953 DePorres Club protest poster focused on Reed’s Ice Cream. This group of kids are standing outside the DePorres Center at North 24th and Grant Streets. These protesters are participating in a Reed’s Ice Cream Company picket sponsored by the DePorres Club in 1953. These youth activists from the DePorres Club are picketing to end racist practices at Reed’s Ice Cream in Omaha in 1953. This is the storefront of the Omaha DePorres Center, located at N. 24th and Grant Streets from 1948 to 1950.